North American Auto Equipment will always maintain the highest ethical standards practices and maintain it's relationships with our customers for maximum success. Our goal is to make certain that North American Auto Equipment never processes a credit card transaction for a customer without a clear and accurate lead time for shipping. ALL RETURNS MUST BE AUTHORIZED BY North American Auto Equipment & WILL BE AT EXPENSE OF CUSTOMER. Delivered product may vary from pictured item (i.e. including power unit. North American Auto Equipment will provide Duro power unit with all lifts. 100% USA made power units available for $300 additional up-charge). The customer must visually inspect the equipment UPON DELIVERY and note any potential freight damage on the receiver. If a customer signs clear on the receipt, neither the trucking company nor North American Auto Equipment will be held responsible for filing a freight claim or for any freight damage. The customer must advise North American Auto Equipment within 72 HOURS after receipt to report any concealed damage or missing parts. This 72 HOUR requirement must be met to be covered under warranty. Structural Warranty: North American Auto Equipment offers the following parts and structural components carry a five year warranty: Columns, Legs, Tracks, Arms, Carriages, Cross Rails, Uprights, Overhead Beams, Top Rail Beams and Swivel Pins. 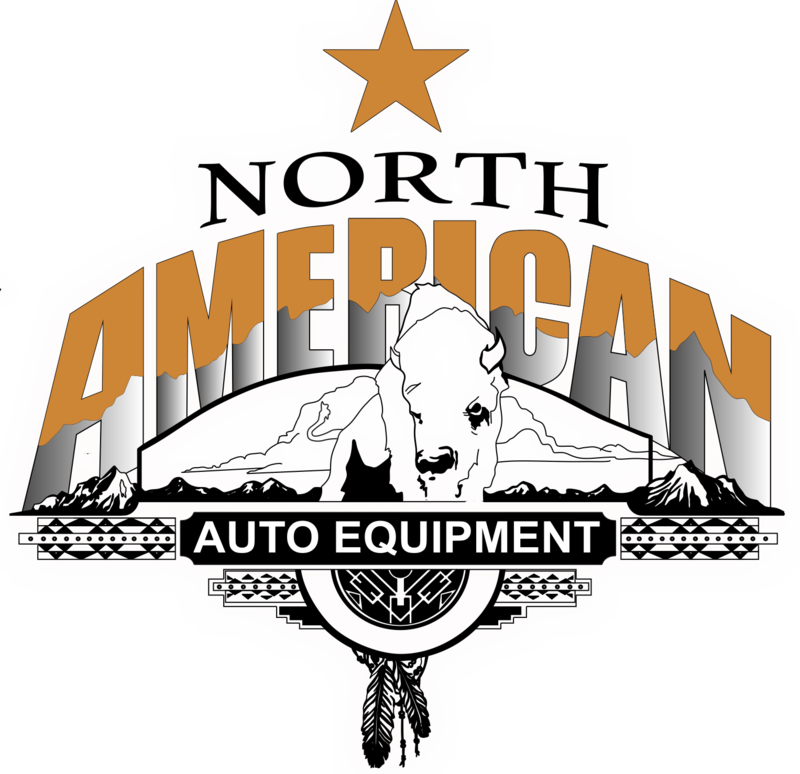 Limited One-Year Warranty: North American Auto Equipment offers a limited one-year warranty to the original purchaser of North American Auto Equipment lifts in the United States and Canada. North American Auto Equipment will replace, without charge, any part found defective in materials or workmanship under normal use, for a period of one year after purchase. The purchaser is responsible for all shipping charges. This warranty does not apply to equipment that has been improperly installed or altered or that has not been operated or maintained according to specifications. To the fullest extent allowed by law, North American Auto Equipment shall not be liable for loss of use, cost of cover, lost profits, inconvenience, lost time, commercial loss or other incidental or consequential damages. Canadian and Mexican customers are responsible for any duties, taxes, and, if applicable, brokerage fees to clear the equipment purchased through customs. A commercial invoice will be provided to the customer and the customs broker (provided we get that information) and the freight company delivering the equipment. North American Auto Equipment will not and cannot assume responsibility for these charges. Your machine / machines will ship on a major truck line and deliver to anywhere in the lower 48 USA. The customer is responsible for offloading the equpment from the delivery truck. This can be done with a forklift, tow truck, back hoe, Bobcat, Tractor, etc. The equipment CANNOT be offleaded by hand. The driver is not required to help unload your machine. Driver is not required to drive onto your residence if he feels it is dangerous to him, his truck, or your property. If you cannot unload from a truck then we can ship to the nearest freight terminal for you to pick up with trailer or moving van. We ship to your confirmed address only. You are responsible for any redelivery charges and storage charges. If you provide a business name, we assume you are open 8AM-5PM and can take delivery during those hours. We are not responsible for redelivery charges if you misrepresent being an actual business. Any business conducted from your residence is not considered a commercial business and will be treated as a residential delivery. Your are responsible for calling the freight company to amke a delivery appointment. We do not schedule the appointments for you. You know your scheduel best! All sales considered final as soon as product leaves our dock, at this point North American Auto Equipment is no longer responsible for damage as a result of carrier error. Buyer must note any and all freight damage on the bill of lading at time of delivery. The customer must visually inspect the equipment UPON DELIVERY and note any potential freight damage on the receiver. If a customer signs clear on the receipt, neither the trucking company nor North American Auto Equipment. will be held responsible for freight damage. 72 HOUR REQUIREMENT after receipt to report any concealed damage or missing parts. As you know, we have a limited window to file freight claims and North American Auto Equipment will not be responsible if we are not notified within the 72 hour window. If you use your own carrier then North American Auto Equipment will not be responsible for filing a freight claim or for any freight damage. The customer must visually inspect the equipment UPON DELIVERY and note any potential freight damage on the receiver. If a customer signs clear on the receipt, neither the trucking company nor North American Auto Equipment will be held responsible for freight damage. Please also make sure they are advised of our 72 HOUR REQUIREMENT after receipt to report any concealed damage or missing parts. As you know, we have a limited window to file freight claims and North American Auto Equipment will not be responsible if we are not notified within the 72 hour window. If you use your own carrier then North American Auto Equipment will not be responsible for filing a freight claim or for any freight damage. Transportation on parts will not be covered by North American Auto Equipment after the 7 day grace period upon delivery. North American Auto Equipment, offers a limited one-year warranty to the original purchaser of our private label lifts in the United States and Canada. North American Auto Equipment will replace, without charge, any part found defective in materials or workmanship under normal use, for a period of one year after purchase. (Unless specified) The purchaser is responsible for all shipping charges. This warranty does not apply to equipment that has been improperly installed or altered or that has not been operated or maintained according to specifications. If lift is installed on cracked or insufficient concrete, this will automatically void user's warranty. User must appropriately fix concrete where lift is to be installed. After user is in compliance and cleared by plant, warranty will go back in effect. If any parts are needed within that time they can be purchased at full retail price.